Deck the Palms is an annual holiday market attended by several thousand community members, bringing together more than 130 local and international artisans, clothiers, jewelers, gifteries, culinary vendors, small businesses, and nonprofit organizations for a one-stop shopping opportunity with decidedly Palm Beach flair and benefiting the community projects of the Junior League of the Palm Beaches. The event encompasses two days: November 2-3, 2018 and includes a VIP reception on Friday. Interested in becoming a Merchant at this year’s Deck the Palms? Only a small handful of vendor space remains. Click here to submit your application to our Merchant Team. 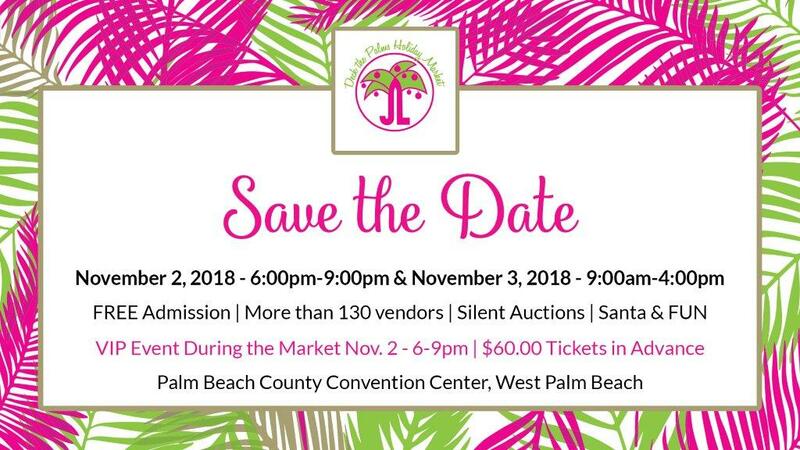 Looking for ways to align your business with this year’s Deck the Palms and help support our various Community Programs? Click here to view our various underwriting and sponsorship opportunities for this event.